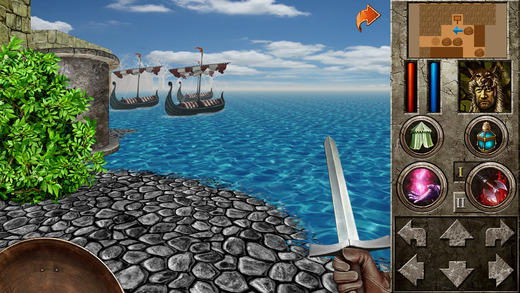 Thor’s Hammer is an entry level expansion for The Quest HD. This expansion has been designed for low-level players, and it’s recommended to start with a newly created party.The story is set in a Norse land, which has been raided by marauders in longboats. As with all The Quest expansions, Thor’s Hammer can be played standalone, or imported into the original Quest app. It features hand-drawn graphics and all the usual features of a Quest game.